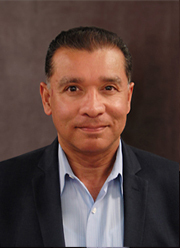 Mario Lopez's responsibilities include all aspects of manufacturing operations, manufacturing engineering, New Product Introduction (NPI), supply chain management, and customer service operations. Mario has more than 30 years of experience in global customer care and manufacturing operations with technology driven companies. Over the past 15 years he has held senior level positions in semiconductor, medical, and analytical instrumentation companies. Mario brings extensive experience in customer care and manufacturing operations and is known for his management strengths and as a strong business partner to R&D, engineering, sales, and marketing. Prior to joining Stellartech in September 2013, Mario held the position of Vice President of Global Customer Care Operations at NDC Infrared Engineering Inc., a manufacturer of advanced sensors. Previously, Mario held the position of Senior Manager of Field Operations, Western United States at TomoTherapy Inc (acquired by Accuray Inc.), a provider of product for intensity modulated radiation therapy (IMRT) and imaging. Mario attended Cogswell Engineering Polytechnical College, San Jose, CA and Heald Engineering College, San Francisco, CA where he graduated with honors from the Electronic Engineering Technology Program.